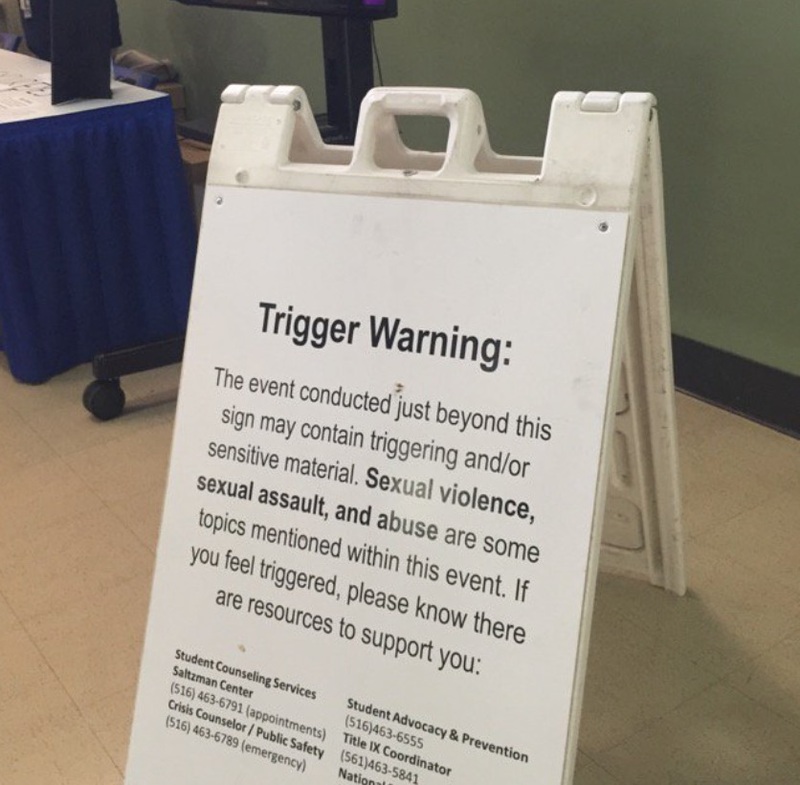 If you want to know just how crazy things are, consider that Hofstra University, host of tonight’s debate, has posted a “trigger warning” outside because some Hofstra students might find the content of the debate traumatizing. And just who do you think will do the triggering? I suppose if Hillary collapses on stage (is Lloyd’s quoting odds, or any Las Vegas bookmakers taking bets?) I suppose liberals will be traumatized, but I’m sure the thinking is that Trump might say something mean. Carter, on the other hand, appeared stiff and uptight throughout. Washington Post columnist Mary McGrory wrote: “Carter seemed stricken with nerves, so tense that he looked affronted when Reagan bounded over to shake hands before the hostilities began.” Carter hit Reagan hard on Reagan’s “out of the mainstream” views, and six times used the adjective “disturbing” to describe Reagan’s policies. Conversely, Carter kept saying “Oval Office” as though he thought viewers might have forgotten that he was President. Reagan parried effectively, though a strict scoring of the debate would have awarded Carter points for consistently putting Reagan on the defensive. The public, of course, does not judge presidential debates by careful scoring of points and counter-points. The demeanor and bearing of the candidates counts as much, if not more, than the substance of the debate. The relaxed and confident Reagan showed some of his quickness and instinct for the cut and thrust of debate, especially during the argument over his economic plan. Carter repeated his charge that it would be inflationary. Reagan answered with a rhetorical question that focused viewers on his broader philosophical point about government: “I would like to ask the President why it is inflationary to let the people keep more of their money and spend it the way they like, and it isn’t inflationary to let him take that money and spend it the way he wants?” Reagan also hoist Carter by his own petard. In 1976, Carter had blasted Ford with the “misery index,” the combination of inflation and unemployment. In 1976, Carter’s “misery index” was 12.5, and Carter had said “that no man with that size misery index had a right to seek reelection to the presidency.” Today, Reagan observed, the misery index is over 20. Next Tuesday all of you will go to the polls, will stand there in the polling place and make a decision. I think when you ask that decision, it might be well if you ask yourself, are you better off than you were four years ago? Is it easier for you to go and buy things in the stores than it was four years ago? Is there more or less unemployment in the country than there was four years ago? Is America as respected throughout the world as it was? Do you feel your security is safe, that we’re as strong as we were four years ago? And if you answer all those questions ‘yes,” why then, I think you choice is very obvious as to whom you will vote for. If you don’t agree, if you don’t think that his course that we’ve boon on for the last four years is what you would like to see us follow for the next four, then I could suggest another choice that you have. David Gergen had suggested these lines to Reagan, and it was a devastating closer. Reagan, who had answered the first question, got in the last word. Wouldn’t surprise me at all if the course of the rest of this election hears a lot of echoes of this. “Hilary” Clinton? 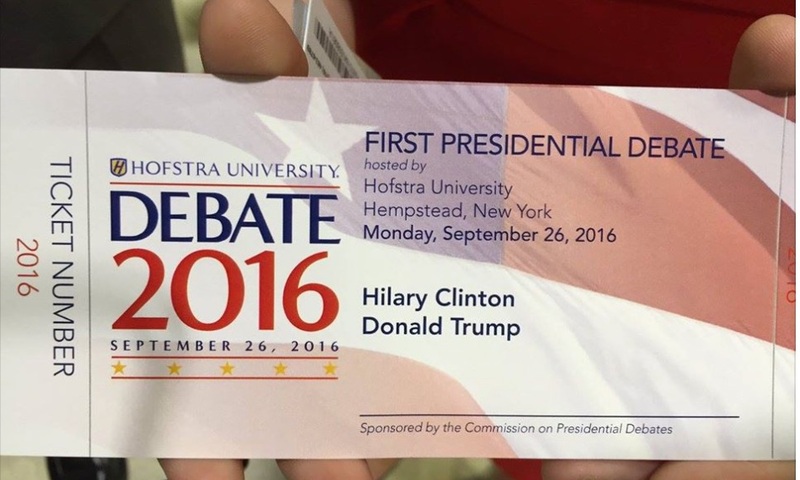 Maybe she’s sending her body double out to the debate stage.